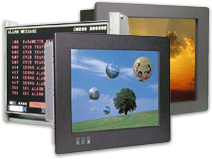 Dynamic Displays works directly with government agencies to ensure that our government is receiving our lowest possible price. If you are visiting us from a federal government office or branch of military, below is some information that you might find useful. GSA, the US General Services Administration, is a central management agency that sets Federal policy in such areas as Federal procurement, real property management, and information resources management. Founded in 1949, the agency is headquartered in Washington DC with regional offices in 11 US states.